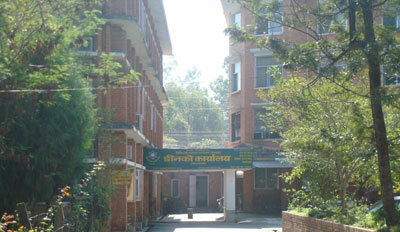 In February 2012, the programme was awarded SEK 80 000 as an initial Linnaeus Palme International Exchange programme grant from the International Programme Office for Education and Training (Internationella Programkontoret), to establish a collaboartion programme with the Institute of Medicine at Tribhuvan University in Kathmandu, Nepal, related to teachers and students exchange during the period 2012-13. Erika Lindberg, who is the Director of studies for the Programme in Biomedical Laboratory Science at Sahlgrenska Academy, is the coordinator on the Swedish side. During the planning phase one teacher from University of Gothenburg travelled to Kathmandu in the fall 2012, and one teacher from Kathmandu came the opposite direction in early 2013. If successful, the collaboration will be extended to both teachers and students exchange. The contact person on the Nepalese side is Dr. Basista Rijal, Dean, Faculty of Medicine, Tribhuvan University. Dr. Riyal has previous contacts with Gothenburg University, visiting in 2010. The project continues, and was awarded SEK 120 840 for the project period 2015-2016. More information about South Asia related Linnaeus Palme programme grants for 2015-16.